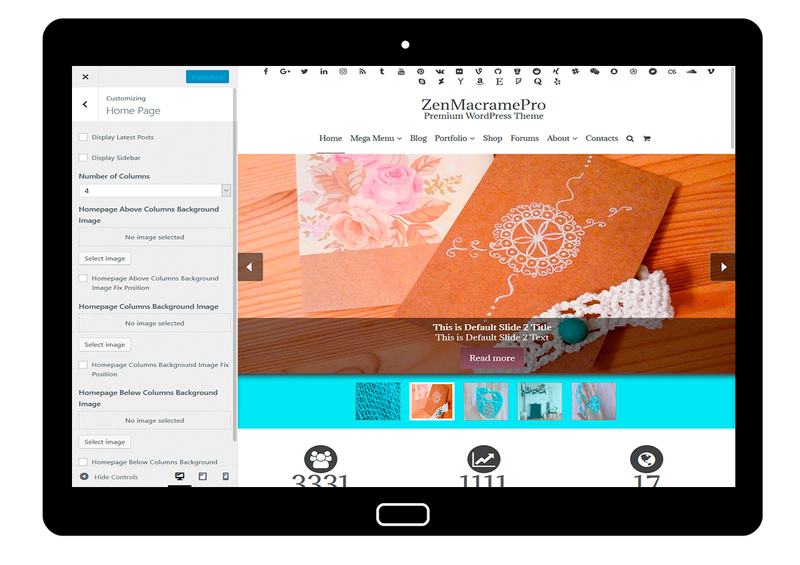 ZenMacramePro is a Premium WordPress Theme about macrame and all kind handmade knittings with knots. 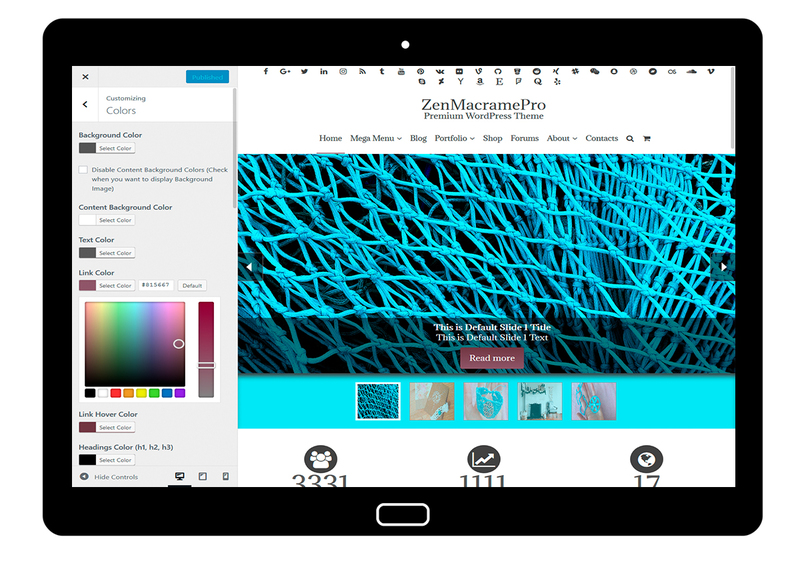 The clean and minimal design of the theme makes it suitable for any type of websites where the focus is on the content instead of design elements. 100% response, customizable, and easy to use theme. WooCommerce and bbPress integration and much more.